With effect from 1 May 2014, all transactions that relate to the purchase and sale of property in Dubai must be documented using standard form property contracts, as per a new policy being implemented by Dubai Land Department (“DLD”). Form F – Contract between seller and buyer. The forms are for use on all sale and purchase transactions, irrespective of the type of property or its state of completion. Each form can be downloaded immediately from the portal and can be filled with the required data for each transaction before being signed by the relevant parties. The contract becomes formal and completed after it has been recorded and documented at DLD. The forms have been drafted in a neutral manner, in that the details required to be completed do not favour either party to the transaction although, as is discussed later in this Article, the lack of required information could inadvertently prejudice the buyer by leaving the buyer exposed. The standard form contracts have received a mixed response with those in favour of the new mandatory system holding that they are a step in the right direction by promoting a more transparent and efficient property registration system which, in turn, will hopefully allow sale and purchase transactions to be processed in less time. To date, market practice amongst many brokers was to use a brief memorandum of understanding (“MOU”) as a sale and purchase agreement. Unfortunately, these MOUs were lacking in detail and were often poorly drafted and offered insufficient protection to the buyer or seller if an issue with the transaction was to arise. In the main, they were drafted by unscrupulous brokers to provide protection to themselves and ensure payment of their commission, with little else being covered. The hope is that the new standard from contracts will go some way to combat this. With regard to small investors and transactions of lower monetary value for existing buildings, the standard form contracts may help keep transaction costs down, allow the parties to deal directly with each other, reducing the need for legal representation. With more sophisticated investors and larger scale projects in the commercial and residential spheres, including those still under construction or off-plan, the standard form contracts in their present form are insufficient to replace the need for individual transaction-specific sale and purchase agreements. The reason is that the standard form contracts omit certain key information such as the treatment of any deposits payable and the existence of an escrow agent and escrow agreement, construction milestones and any permitted extensions of time including delay caused by force majeure events, remedies if key dates are missed, dispute resolution procedure (e.g. whether the parties are to go to court or to arbitration), to name but a few. As a result of these omissions, the standard form contracts are being supplemented by addenda that are drafted to state that they form part of the standard form and which contain further key information to adequately govern the contractual relationship between the parties, including in those areas listed above and, more generally, obligations, warranties, termination for default and so on. DLD’s acknowledgement of the fact that the standard form contracts may be lacking in some areas can in part be seen by the fact that at the time of writing this article there is already an up-dated “Form F” on DLD’s eMart portal. The up-dated form has been extended to require further details, including in respect of mortgages, existing tenancies, legal representation and powers of attorney. Currently, therefore, there are two documents (the standard form and an addendum) being presented to DLD for most sale and purchase transactions. Even so, when it comes to the administration of the sale and purchase contracts the use of the mandatory form should undoubtedly help DLD process the information more quickly as the standard form contracts group together what is, from DLD’s perspective, the salient information for input into the DLD database and to the extent the information is on the standard form contract (which it is) it will allow DLD staff to disregard the second contract and therefore not spend time sifting through pages to identify the required information for their purposes. Further, the fields which must be completed in the standard form contracts should also serve as a reminder to the parties (most notably buyers) of what information is required and documentation to be signed before DLD can process the transaction, thereby saving on the number of transactions which are put to DLD for processing without the requisite documentation. Perhaps most notably, since all sale and purchase contracts now must be presented using the standard forms (supplemented as necessary) each party to a transaction should have added peace of mind knowing that DLD has “rubberstamped” the necessary details and so future issues such as wrong property codes, which could be a headache for the buyer further down the line, should be as good as eliminated. This added certainty is one of the reasons why standard form documents in property transactions are welcomed and supported in different jurisdictions across the globe and can significantly cut down on time and cost for the parties involved. 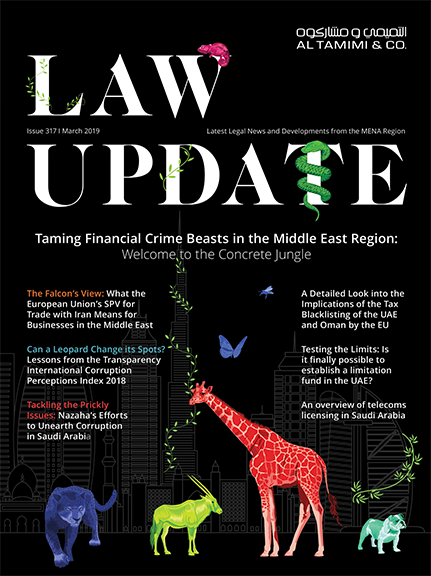 While the mandatory standard form contracts in Dubai are insufficient in themselves to provide for all key commercial terms, they undoubtedly introduce a level of clarity and uniformity not previously seen in the DLD registration process and for that reason they should be championed, perhaps more as a work in progress than a complete solution. We, therefore, expect that there will be enhancements to the content of the standard forms in the future to address the issues that have and will come to light in respect of their adequacy to capture all salient details of a sale and purchase transaction.